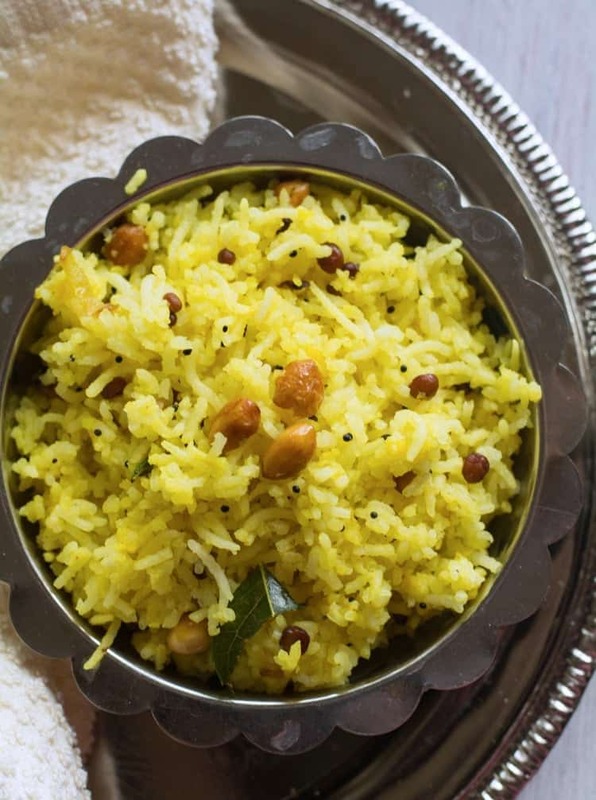 Chitranna Rice Recipe is the easiest recipe perfect for lunch box and for busy days. Made with lemon juice, turmeric powder, onion, curry leaves. 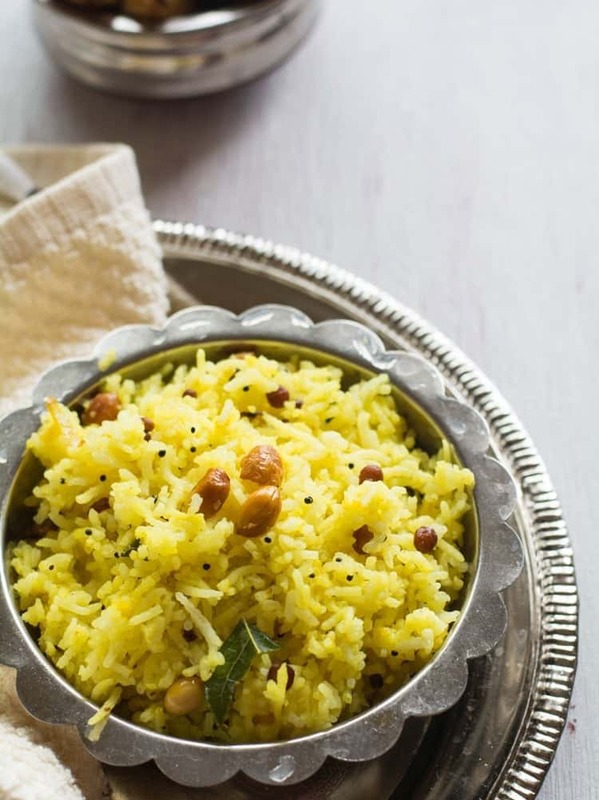 This is a most popular rice dish from the Indian state of Karnataka. 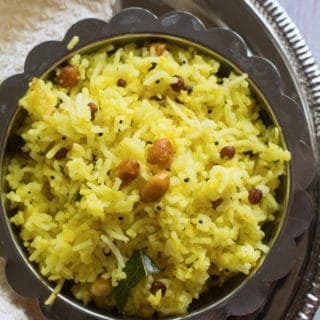 This chitranna recipe and lemon rice recipe are similar. Though they have common procedure and ingredients, they differ in taste and flavor. The main difference between these two recipes is the addition of chopped onion. In lemon rice, we do not add chopped onion but in chitranna, we add. Chitranna is my family’s first choice when they need light and warm food. I do accept this too quickly as it is easier for me to make. No mess in the kitchen. Another great positive factor is that it does not require any fancy side dishes. Potato fry, Chili Vathal, or simple egg gravy will do. And this recipe brings the smile to both me and my family. 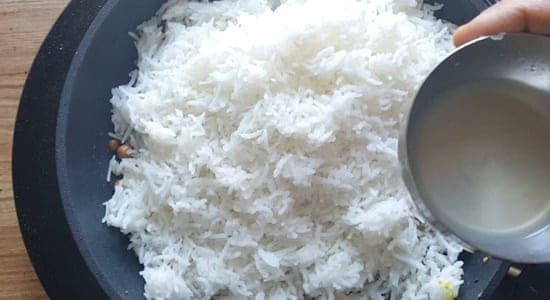 Check Kashmiri Pulao recipe, if you are searching for other easy rice recipes for the lunch. Heat 4 tbsp of cooking oil in a pan. 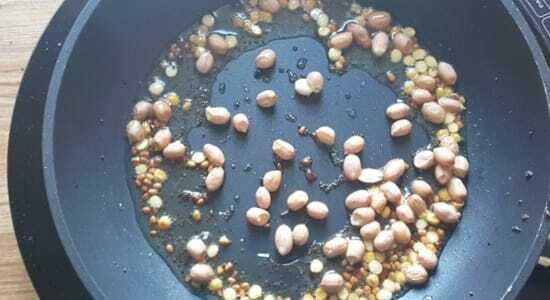 Add mustard seeds, urad dal. 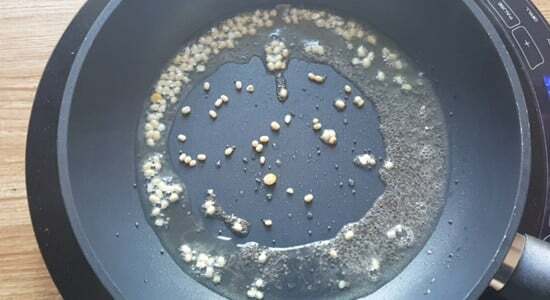 Allow mustard seeds to splutter. Then add Bengal gram and peanuts. In simmer flame roast until they become golden brown in color. Then add chopped onion, curry leaves, green chili and saute until the onion becomes translucent. Then add turmeric powder and saute for a second. Then add cooked rice, followed by salt and lemon juice. Gently stir them until all the ingredients blend well with the rice. check for the salt and add if necessary. Serve hot along with potato fry or chips. 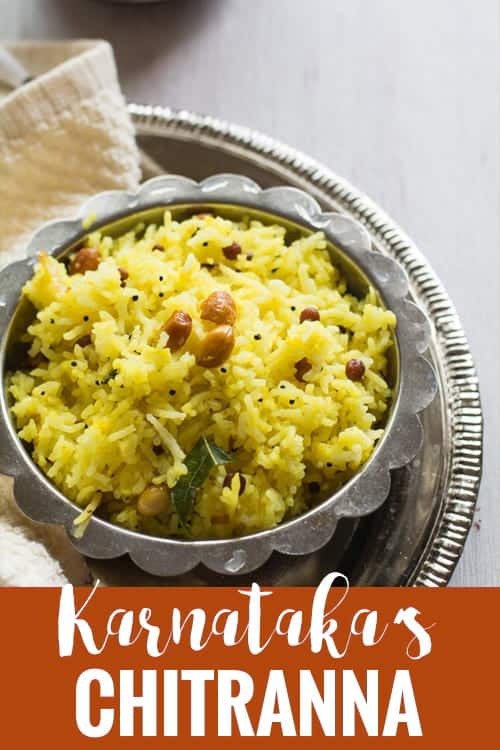 Chitranna Rice Recipe / nimbehannu chitranna is the easy Karnataka's festival recipe perfect for the lunchbox. 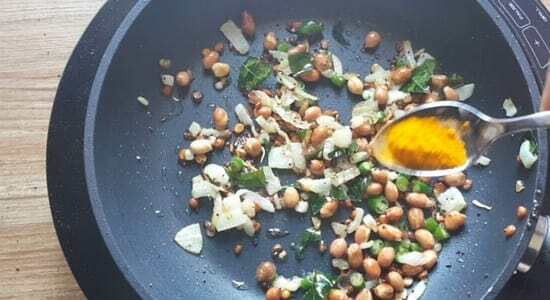 Made with onion, peanuts, lemon juice, turmeric powder, onion, curry leaves. Then add chopped onion, curry leaves, cgreen chili and saute until they onion becomes transulacent. Then add turmeric powder and saute for a second. Then add cooked rice, followed by salt and lemon juice. Gently stir them until all the ingredients blends well with the rice. check for the salt and add if necessary.